The EuroCMR is held annually after the EuroCMR annual scientific sessions. 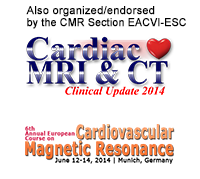 The next date is Saturday, 17 May 2014, 15:00 – 18:00, after the 12th EuroCMR meeting held in Vienna, Austria. 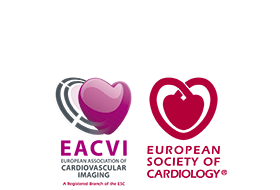 The exam costs for the 2014 exam are € 310 for non-members and € 290 for members of the Working Group on CMR of the ESC. Please note that so as to respect exam room capacity, registrations are taken under the basis of first come first served. We encourage early registration to guarantee a place. In the event that a participant wishes to cancel his/her registration to the European CMR Exam, a written request to eurocmr2014@medconvent.at is required until April 20, 2014. 75% of the exam fee will be refunded. After this deadline, the candidate will be charged fully. In case of serious unforeseen circumstances preventing the candidate from attending the exam, a proof document will be required and the candidate will be refunded with the entire registration fee at the discretion of the exam organisers or a place at a future exam may be offered.